Here are the biotech leaders to watch. 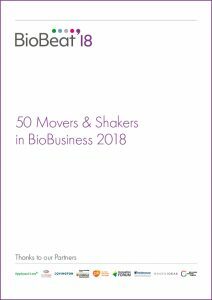 50 Movers and Shakers in BioBusiness 2018 identifies 50 outstanding women who are developing revolutionary bioscience products for healthcare, shaping entrepreneurial bioscience through investment, accelerating the innovation pipeline, transforming patient access to healthcare and supporting innovation from concept to market. In this fifth year of the report, special thanks to the Reviewers, Wellcome and everyone who makes 50 Movers and Shakers a reality.